Funeral services will be held Monday for the Utah firefighter killed while battling the largest recorded wildfire in California history. The services for Battalion Chief Matt Burchett of the Draper Fire Department will be held at 11 a.m. at the Maverik Center in the Salt Lake City suburb of West Valley City, and a private interment will follow at Eastlawn Memorial Hills Cemetery in Provo. 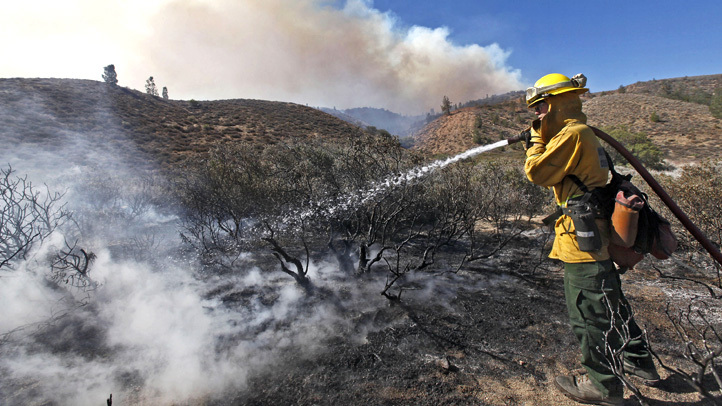 The 42-year-old was hit by a tree Monday while fighting a wildfire north of San Francisco. He was flown to a hospital where he succumbed to his injuries. Burchett was among numerous out-of-state firefighters who joined the front lines of the massive wildfire.